Published: Feb. 24, 2014 at 07:06 p.m. 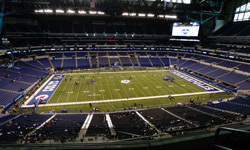 Updated: Feb. 25, 2014 at 11:27 a.m.
INDIANAPOLIS -- After a full weekend of offensive workouts, the 2014 NFL Scouting Combine shifted to the other side of the ball on Monday, with defensive linemen and linebackers hitting the Lucas Oil Stadium turf. Who stood out in the on-field action? My winners and losers are below. Jadeveon Clowney, DE, South Carolina: The hype surrounding Clowney's talent and potential is certainly warranted, based on his spectacular performance on the turf. The 6-foot-5 1/4, 266-pound defensive end clocked a 4.53-second 40-yard dash while also posting a 37 1/2-inch vertical jump and 10-4 broad jump. Those numbers, which are ridiculous for a man of his size, underscore the elite athleticism, explosiveness and body control Clowney displays on the field. Sure, the questions about his work ethic, maturity and judgment are troubling, but it's impossible to ignore his extraordinary physical gifts. It will be very tough for teams at the top of the draft to pass on a freak like this. Aaron Donald, DT, Pittsburgh: Donald flew under the national radar for most of the season despite emerging as one of the most disruptive defenders in college football. Questions about his size and strength overshadowed his exceptional production and general impact. Although he seemingly silenced critics with a dominant performance at the Senior Bowl, Donald couldn't crack the conversation as a first-round prospect until he put up impressive numbers at the combine. The Pittsburgh standout ranked among the top D-line prospects in the 40-yard dash (4.68), three-cone drill (7.11) and bench press (35 reps) while posting respectable numbers in the vertical jump (32 inches) and broad jump (9-8). Those measurements were complemented by an impressive positional workout that showcased his speed, quickness, agility and strength. Donald zipped through the bags like a dancing bear while flashing the power to knock defenders off the ball with this initial punch. Khalil Mack, OLB, Buffalo: The NFL scouting community has been buzzing for over a year about Mack's prospects as a disruptive defender. Multiple scouts told me that the Buffalo standout was a borderline Day 1 prospect a season ago, yet he elected to return to school to master some of the nuances of the position. The decision paid huge dividends, as Mack dominated the competition throughout the regular season, enjoying big games against Ohio State, Baylor and Connecticut. He's bound to keep up the momentum after an outstanding performance at Lucas Oil Stadium. The 6-2 5/8, 251-pounder ranked among the top linebacker prospects in the 40 (4.65), vertical jump (40), broad jump (10-8) and 20-yard shuttle (4.18). Yes, those numbers are jaw-dropping for a linebacker of Mack's size, but it was the outstanding display of balance and body control in drills that convinced scouts he is a big-time talent (though he played much of his college career against inferior competition). From making effortless turns and transitions in coverage to exhibiting explosive first-step quickness on pass-rush drills, Mack showed he has all the tools in the toolbox to be an impact player as a pro. Will Sutton, DT, Arizona State: To his credit, Sutton acknowledged that he has been battling a weight problem since the beginning of the regular season, something that negatively affected his performance. After dominating the Pac-12 as a junior with his explosive first-step quickness and burst, Sutton looked sluggish and lethargic as an interior defender this past season. Additionally, he failed to deliver the kinds of disruptive plays that earned him respect as an elite defender in 2012. Sutton has dropped some of the extra weight, but he still clocked one of the slowest 40 times of the combine (5.36). While defensive tackles aren't expected to blaze the track, the fact that he finished near the bottom of the pack will spark questions about his speed and quickness. 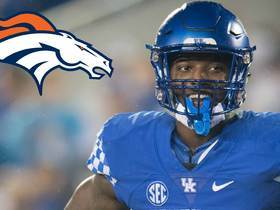 Now, Sutton did show quick feet and adequate body control running through bag drills, but the sloppy body build and marginal workout measurements (28.5-inch vertical jump, 8-3 broad jump and 7.93-second three-cone drill) make it hard to build a case for him as an early-round selection. Michael Sam, DE, Missouri: While many media members came to Indy to further report on Sam's recent announcement that he's gay, NFL scouts and coaches used the event to assess his chances of making a key contribution to a team. Sam reportedly passed the interview portion of the exam with flying colors, but he put on a disappointing performance during the workout. He clocked a pedestrian 4.91 in the 40, while also posting marginal marks in the vertical jump (25.5 inches), broad jump (9-6) and three-cone drill (7.80 seconds). Additionally, he looked tight and stiff while changing direction in positional drills. 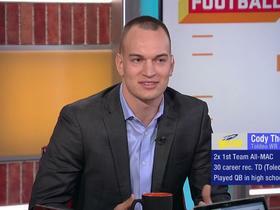 Sam simply looks uncomfortable moving around in space, which makes it unlikely he'll be able to successfully move to linebacker at the next level. To his credit, Sam did show above-average body control in the "bend and burst" drill, leading several scouts to peg him as a possible DPR (designated pass rusher) in the NFL. Given his limited game/athleticism, Sam's draft stock likely will take a significant plunge following this combine showing. Darqueze Dennard, CB, Michigan State: Dennard is viewed as the premier cover corner in the draft, but scouts have concerns about his top-end speed and overall athleticism. How well he runs the 40 and moves around in drills could determine whether he's a definite first-round pick or not. Calvin Pryor, S, Louisville: The Louisville star has a chance to overtake Ha Ha Clinton-Dix as the top safety in the draft with a strong performance at the combine. Scouts view Pryor as a headhunter with surprising range, but a battery of agility drills and position-specific work will ultimately determine if he has the skills to be the top dog at his position.